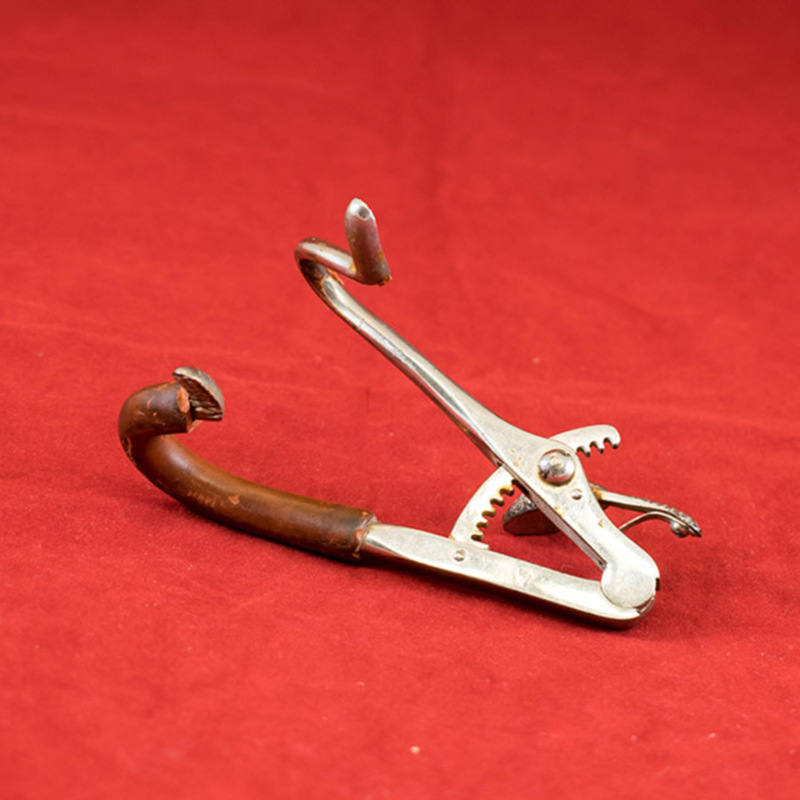 Mouth gag for anaesthetics – ratchet closure with thumb release; rubber missing from one of the blades. 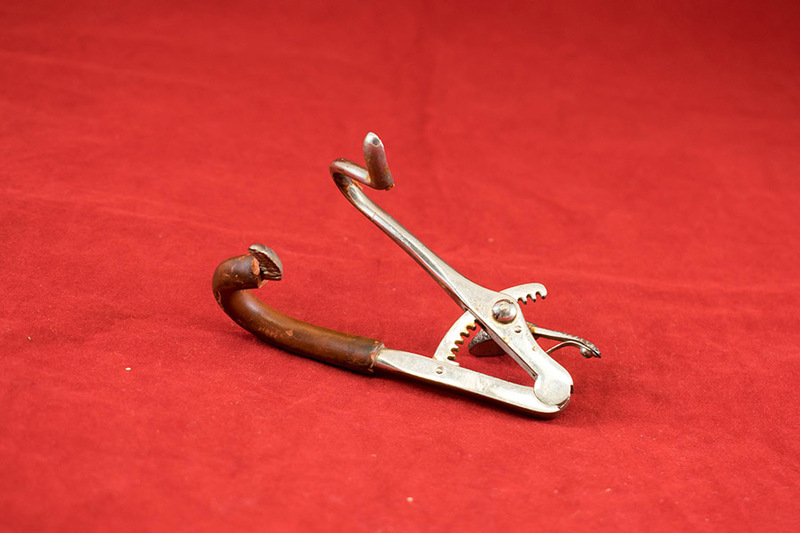 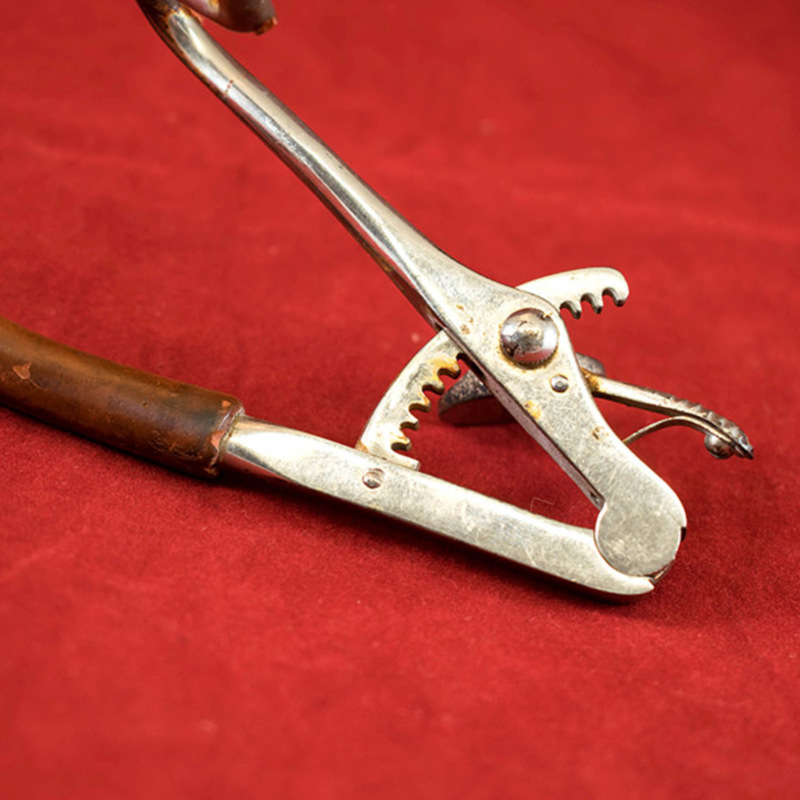 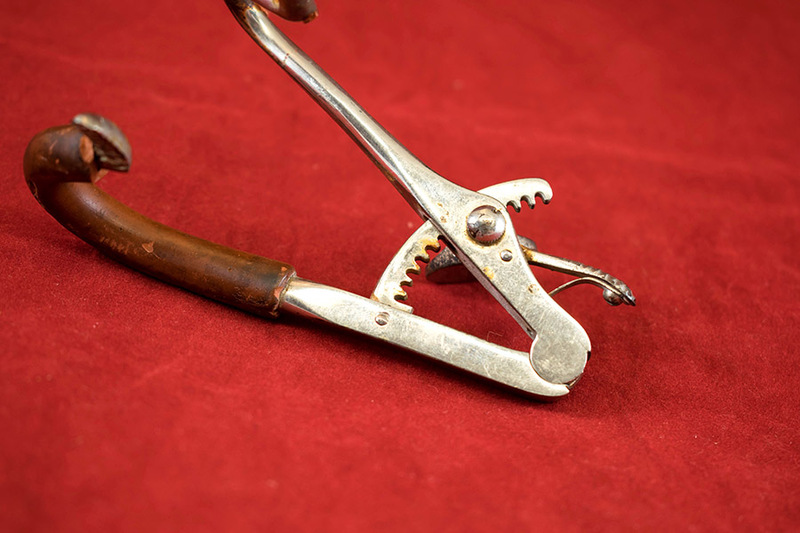 “Mouth Gag,” Heritage, accessed April 20, 2019, https://heritage.rcpsg.ac.uk/items/show/724. 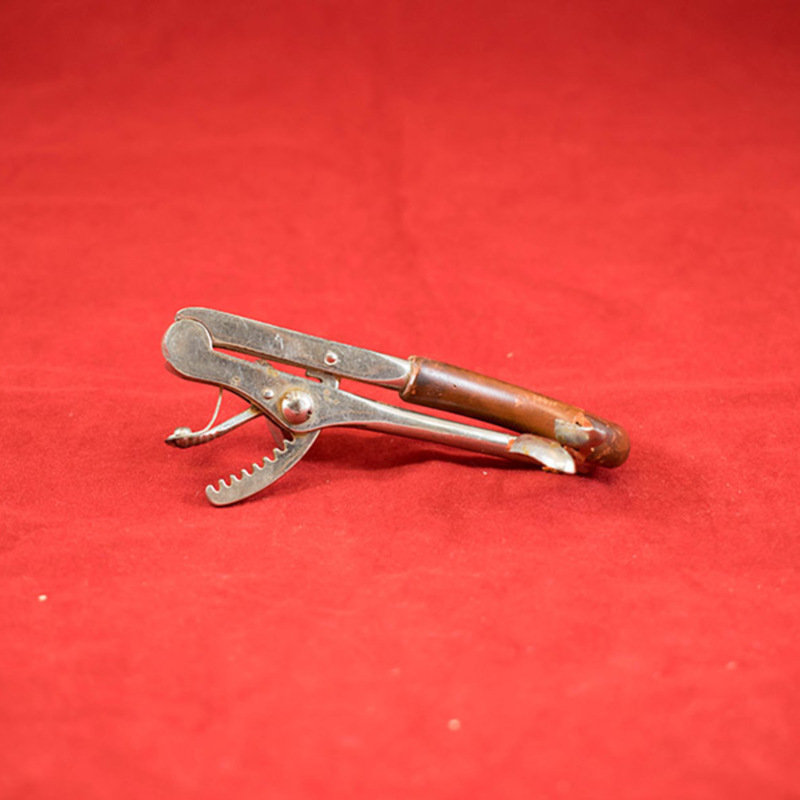 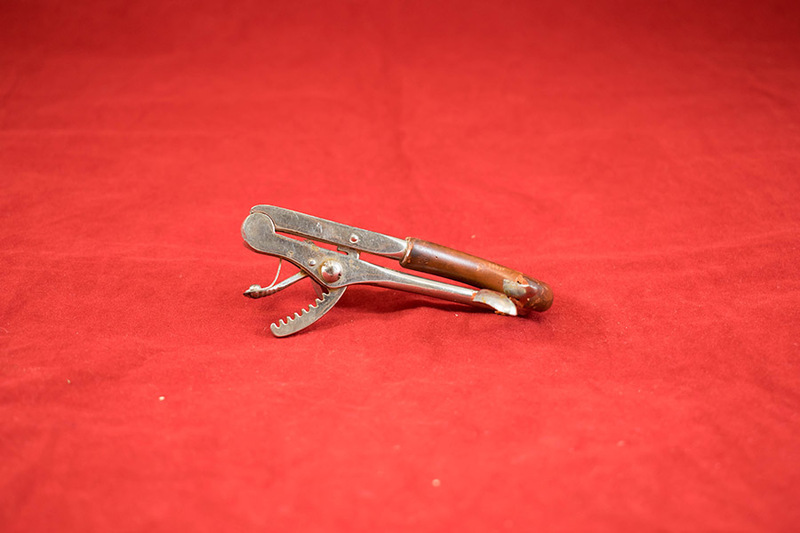 Description: Mouth gag for anaesthetics – ratchet closure with thumb release; rubber missing from one of the blades.